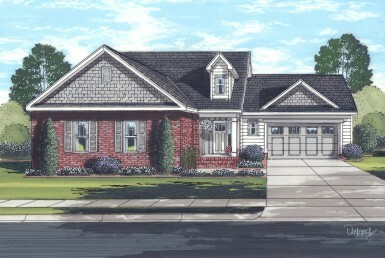 The charming, village-style Avenel Cape has classic curb appeal within a 60′ wide building footprint. 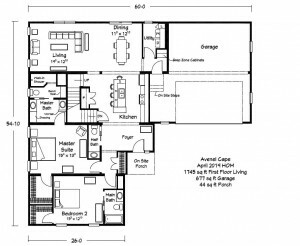 The unique plan includes two bedrooms with private baths on the main level. 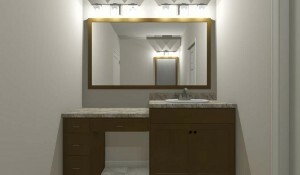 The master suite includes a large walk-in closet, a well appointed master bath including large separate vanities, a private full-tile walk-in shower, and a convenient adjacent storage bench. The large foyer provides an open view of the kitchen, dining and living areas as well as access to a guest powder room. 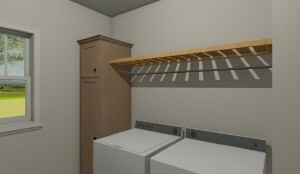 Upon entry from the integral, two car garage, homeowners can take advantage of the “drop-zone” cabinets for keys and cell phone charging. The efficient kitchen features a large island bar with a raised height open shelf cabinets facing the foyer. 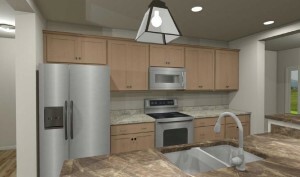 The base cabinetry adjacent to the range includes a wide, 3-drawer Pots & Pans base cabinet. 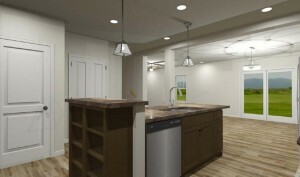 Larger kitchen items will stow nicely in the double door pantry. 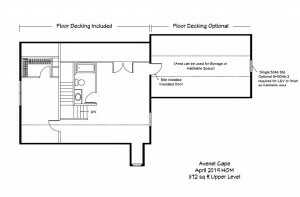 The flexible upper level can be finished to include a large, third bedroom, additional bath, a loft family room and storage space. For more space, the bonus area above the garage can be completed as a fourth bedroom making the total finished living space just over 3,000 sq. ft.